Contact managers help users in organizing their stored contact information in an easily accessible manner. With a good contact manager, you will get comprehensive information about your customers such as their names, addresses and mobile phone numbers. Currently, most smart devices are capable of self and machine-learning and they have simple contact managers installed in them through which users get access to stored contacts. But if the contact list is huge and requires detailed insights then a larger and advanced contact manager is necessary. The list compiled below consists of the top 10 best contact management software available in the market. Sales Cloud is ideal for businesses of all sizes. Its design allows it to manage sales and customer care related strategies. Sales Cloud organizes information about other partner businesses or just normal customers. It provides the user with a user-friendly platform. 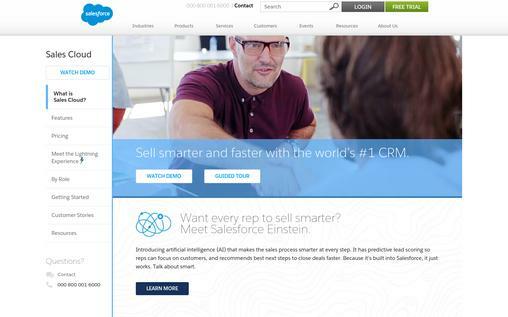 You can manage customer information and customer interactions easily with sales cloud. Customers can also access business information and buy their products through automated sales platforms. It is also possible to see the reviews your customers are posting on social media about your company’s services. Sales Cloud offers a platform where you can take part in discussions with other business companies. You will be able to share documents like certificates and offered tenders. It also has a chatter feed where you can make your company name known. Sales Cloud also has a sales force mobile app which you can use it to keep your marketing information updated wherever you are. 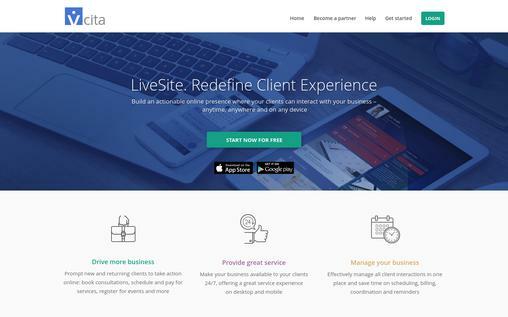 Insightly is an effective tool for small and upcoming businesses. It helps you manage effectively your contact information. 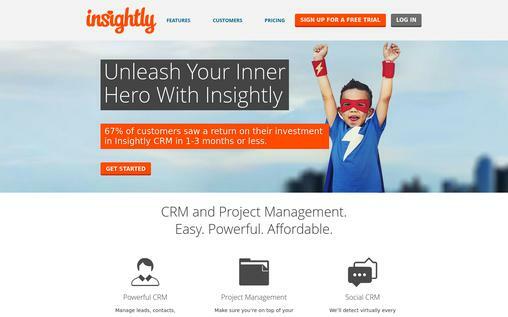 Insightly organizes information about partner organizations, buyers and sellers, and customer contacts. It distinguishes the customer information and makes it available for viewing. You can arrange for meetings and events easily. You will get access to an automated log database containing addresses of your clients. The good thing is that insight returns results quickly enough when you search on their database. If the search results are somehow irrelevant, there is an option to customize the search and filter accordingly. Sometimes you need to transfer a file between you and a client. This is possible with Insightly. There are also tags where you can tag another business partner or customers. There is also a notification area where you will keep yourself updated. If you find an interesting or related business opportunity, there are links taking you to the business page. 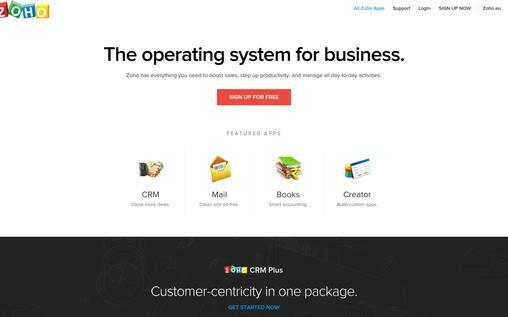 Finally, you can send mass emails either to clients or business partners when using Insightly. 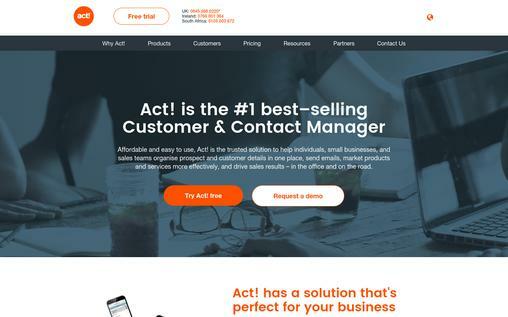 ACT contact managing software provides both simple and basic management of contacts. It also offers large and chain retailing automated selling points. The ACT helps you keep details about your contact together so that you will get access to them whenever required. ACT is very easy to understand and it skips the sophisticated operations running in the background, which is difficult to understand by non-programmers. The ACT does not give problems when you need to integrate it with other applications you use. You can just easily customize it so as to access information about the applications you have installed. Admin can also access customer information based on scheduled appointments with the customers. You may have complicated customers whose buying trends differ greatly. Further, the ACT can help you by giving valuable insights through graphs. This will ensure that any opportunity to grow the business is not lost. Zoho believes in the idea of sharing ideas with other business managers and clients as well. It offers a visually friendly site. You can pay attention to what customers are saying and still have a chance to discuss with them about a particular issue. This is because business is about building a good relationship with customers and business partners alike. With Zoho, you can easily respond to issues on Twitter while still sending an email to a business partner manager in a live call. This is available on one platform and one desktop screen. Zoho is simpler for busy business managers who do not have the time to move from different media channels or reply to queries from different customers. It gives you the opportunity to see the trends in your communication with customers. You can then know how effective you have been in communicating with your customers. This contact management software allows you to follow your customers on social media with Zoho platform. It helps businesses to see what business contacts are saying and what they need! This contact manager hosts an online database of contacts of all your business details. You do not have to keep many unorganized contacts anymore in your log files and mobile devices. All you need is FullContact managing software and you can access your contacts in one dashboard. You can know what a certain client said and what reply they got. Admin even has the option of changing the profiles of your clients with relevance to their updated profiles on various social media platforms. FullContact also allows the creation of calendars and reminders so that your business remains in touch with others constantly. Agile CRM deals mainly with affordable Customer Relationship Management. It is powerful and easy to use. Also, the software helps you to arrange your contacts in a very organized way and gives you the chance to see their buying trends and how active they are in the market. It gives you the option of adding stars to the contacts you value most and the most active ones. You can add if a contact is a business manager or any other description that seems fit for you. When you need to close a deal with a particular contact, then Agile CRM gives you an entire page with complete details and options to seal the deal. There is also the option of timing your messages and emails so that you know when certain activity was happening. 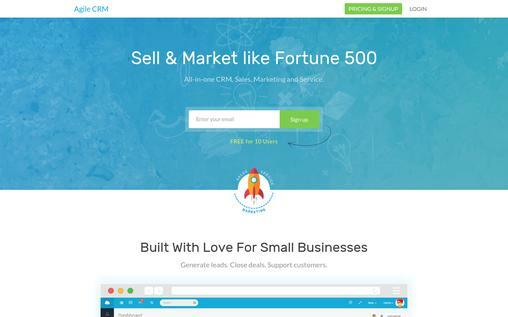 From importing social media profiles to making online calls and custom fields, they are all available with Agile CRM. Free Address Book can be used for personal contacts management. It can also be used for commercial contact management. It provides an easy way of searching for contacts information and notes the key important features in a contact. 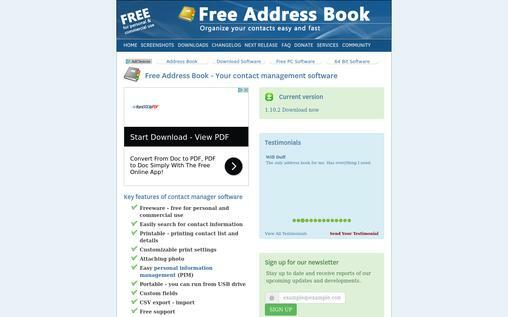 If you need to print a contact list, then Free Address Book allows you to do so directly. You can get the software from your friend for it is customizable and portable with various operating software. There is a free support field with Address book which allows you to check on any issue that is troubling you. You also can create contact groups and name them accordingly like “Business Partners” or “Same Product Clients”. Your clients and business partners need to know that you take their time seriously. Therefore, you need to manage your contacts well and that is what vCita offers. This contact manager is like a faithful personal assistant who never fails to handle the assigned work in time. Offers a full coverage of client relations and communications. vCita ensures that your team does not forget any important meetings or appointments. It integrates your contact details with the web service so that you can continue upgrading your services. vCita’s user interface is very simple and it also offers step-by-step guide so that you make use of this contact management software to fullest. 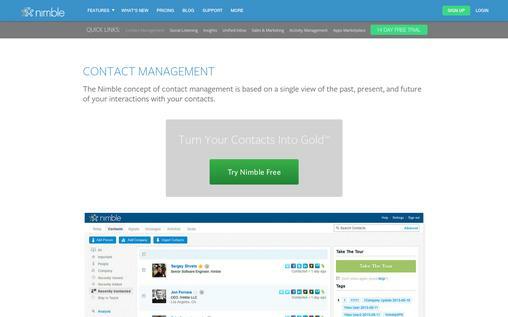 Nimble is the most efficient software that can be used to manage your business contacts. It helps in keeping all the past records and activities of your contacts on the same page. This approach helps in accessing important data conveniently. You will save your time and effort while managing your contacts with this software. Nimble will leverage the specific trends of a particular client or business. Your past mistakes, essential things and performance are well combined and showcased in this app. This way you will have a brief idea about your durability, further gaining more concern for business implementations. Contact lists are well organized by Nimble and it also offers a solution that includes a summary of emails sent, received, pending deals, relevant info or any other interconnections. This contact manager is reliable as it keeps track of your past conversations efficiently. 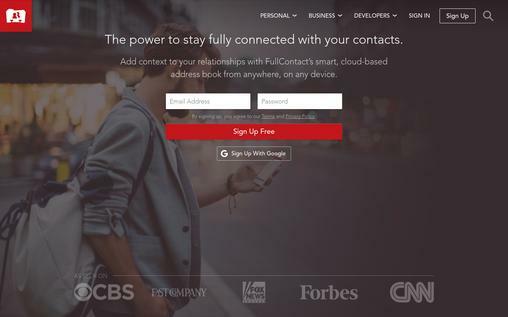 Your contacts will be organized in various contact groups. 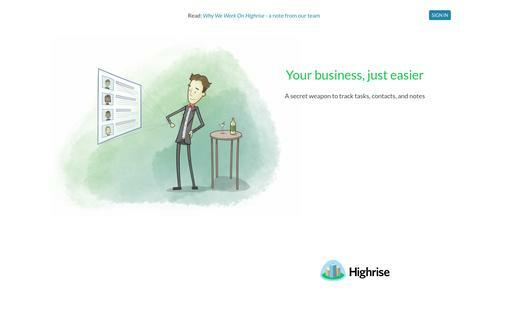 With Highrise, all your specific tools are combined in one place. Keeping track of your tasks becomes easy with Highrise’s reminders and schedule calendars. You can assign tasks to particular team members without thinking much about the failure to complete. Communication with the client and the team you assigned a particular job, becomes much easier. Long lasting trust can be gained by sharing info and significant dates with your team members. Business is about acquisition between clients and their service providers. It is, therefore, essential to managing contact details well. This enables both parties to be in touch with their business requirements. Integrating your business requires good contact management apps. Based on different contact management software discussed above, it is a clear indication that an effective contact management is a key to growing your business in today’s world.